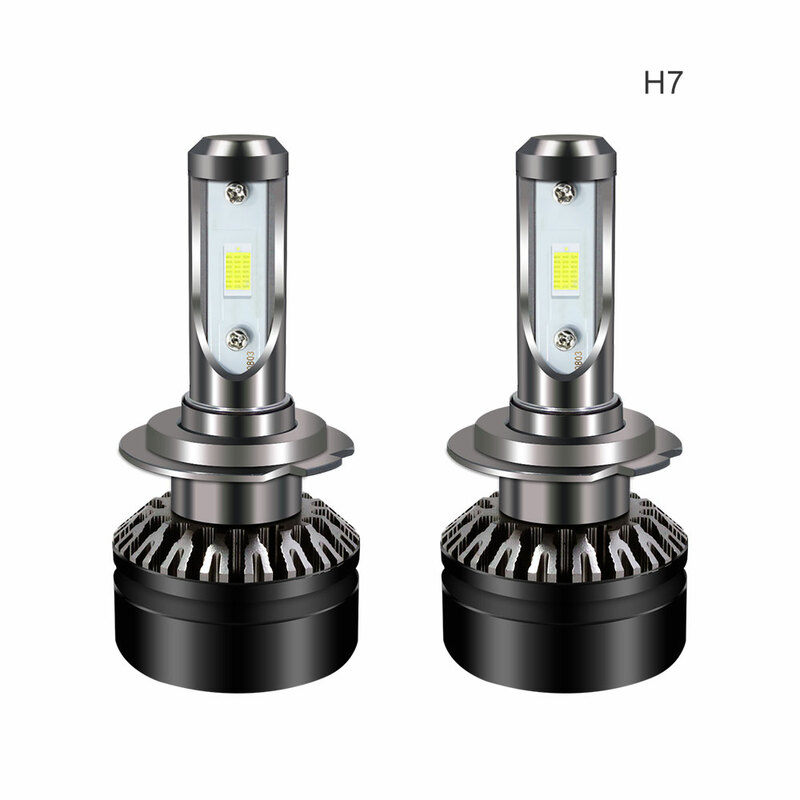 Successfully Added LED Car Headlight Bulbs - H7 Fitting, 5000 Lumen Each, 6000k White Light, IP67 Waterproof, Aluminum Body, 360-Degree Light to your Shopping Cart. Light up the path in front of you with these ultra-bright LED car headlight bulbs. These car bulbs are fit for any vehicle that features an H7 bulb fitting. Thanks to their simple plug and play design, you can easily push them in and you’ll be ready to go. These LED car headlights support an IP67 waterproof and dust resistant design. Thanks to this, they’ll light up the road ahead no matter where you’re at. The bulbs themselves are crafted out of aviation-grade aluminum and are able to withstand extreme temperatures ranging from -40C to 90C. Whether you live in the icy north or humid south - these car headlight bulbs will never let you down. The lights treat you to a 360-degree beam of cool white light and produce up to 5000 lumen each. This generates enough light to light up the path ahead for as far as the eye can reach. With their 30.000 hours service life, these car headlight bulbs won’t have to be replaced any time soon. These LED car headlight bulbs come with a 12 months warranty, brought to you by the leader in electronic devices as well as wholesale car accessories..